Ratchet Hangers allow you to secure items quickly, easily and at just the right height. They are perfect for secure mounting of lights and other heavy items. The ratchet locks the rope in place and will never slip or break. Lights can be hooked on at a safe level and then just raised into position – with minimum effort. Each click of the ratchet raises the item another notch, so lights can be mounted at exactly the right height and then raised or lowered as needed with a simple tug of the cord. 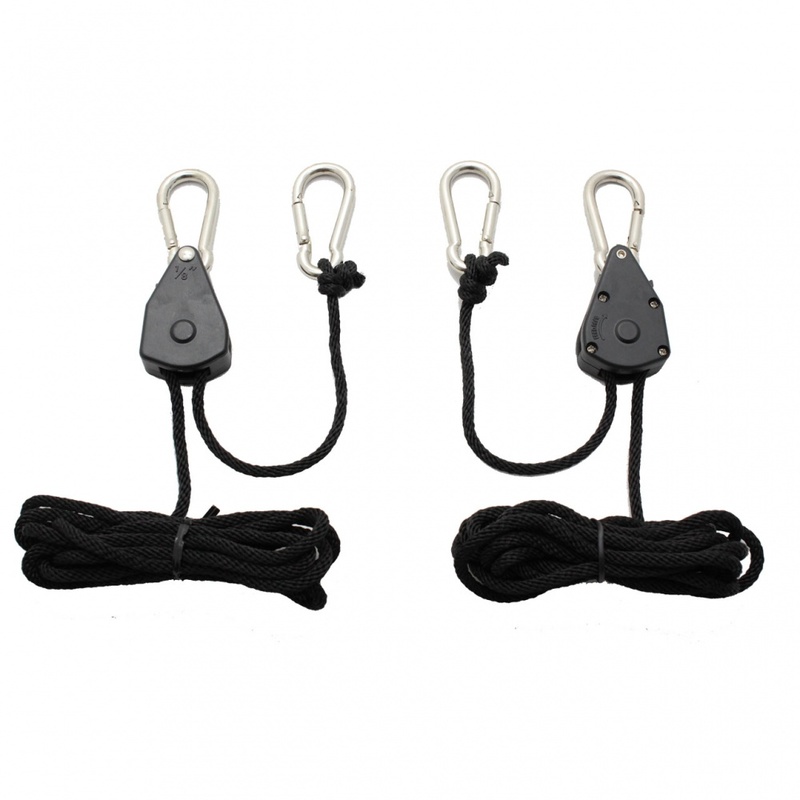 The included carabiner clips are totally secure and allow heavy items to be safely lifted. - Rope length is 1.8 m.
-Maximum weight capacity 68 kg per pair.